All aboard! 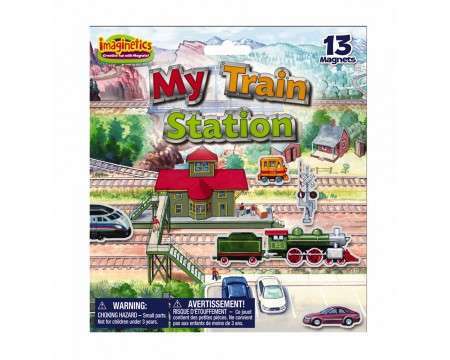 Enjoy playing with magnetic trains in the train yard. Contains one play board and one magnet sheet, which includes 13 individual magnets. Open play board measures 14½” x 8″.